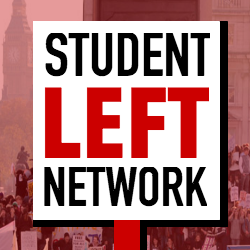 Agenda announced for Student Left Network National Conference, 2-3 March at Sheffield University. Register here for your free space, book your transport and share the Facebook event. Information about how to submit motions is here. A- What would a radical, democratic, campaigning NUS look like? C- How is our education system making us ill? 15.00-16.30 Fighting NUS democracy cuts – what kind of National Union do we need? 2- How should the radical student left relate to Labour? B- “No platform” and the left: Should we no platform TERFs?